Public Marathon discussion forums have been breaking down taboos in Ukrainian cities, building dialogue between groups of people that hold another in mutual mistrust. In 2014, pro-Russia demonstrators attempted to take over Tatiana Mosentseva’s hometown of Kharkiv, but to no avail. 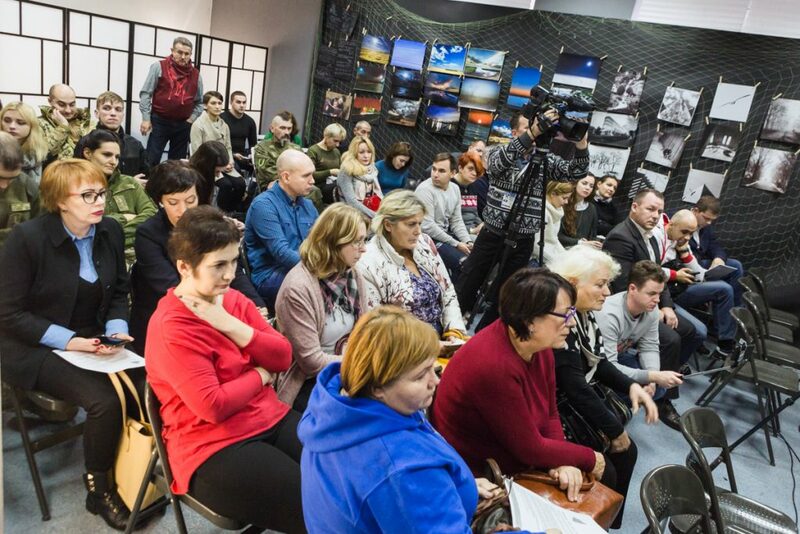 Since last spring, Mosentseva has taken part in organising Public Marathon discussion forums throughout Ukraine. So far, such events have been held in 11 different cities. The Public Marathon brings together people who might otherwise not encounter one another. It helps them to build up a mutual understanding on how the war-torn country can reunite to bring about peace. Internally displaced people (IDPs), Ukrainian soldiers, war veterans, civil activists, clergy and journalists have been among those taking part in the Public Marathon. The Public Marathon is based on the idea that dialogue between different groups of people is sorely needed in order to heal the divisions caused by the war. The Public Marathon breaks down taboos, because amidst the antagonistic social climate a dialogue, for instance with displaced people from the Donbas areas not under Ukrainian government control, may be viewed negatively. But, explains Mosentseva, the message that came from those taking part in all 11 towns was “very positive” in terms of Ukraine’s future. “None of the participants, regardless of how much the war had traumatised them or their communities, thought that Donbas should be separated from Ukraine. Everyone said that the people living in those areas are their fellow countrymen and women. Irina Gladka heads the civil society organisation Peace in the palm of your hand, which assists some 300 internally displaced people. Oleh Saakian is politics researcher and one of the initiators of the Marathon. In Ukraine there is little dialogue between different groups at grassroots level, and ordinary people scarcely venture beyond their everyday spheres of activity. For many, the only windows to the outside world are the national TV channels, which provide their own slant on reality. This all creates fertile ground for misconceptions concerning different groups of people. The war has stoked antagonisms. A major problem is the attitude towards the roughly 1,5-million internally displaced people from Eastern Ukrainian regions of Donetsk and Luhansk. Some Ukrainians are generally suspicious of the IDPs, while others even accuse them of being Russian collaborators. 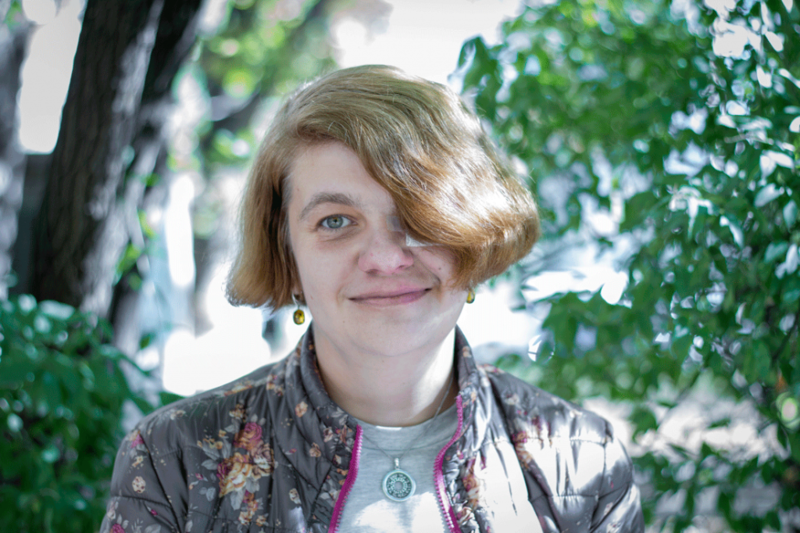 Irina Gladka is one such internally displaced person. She fled the war in Donetsk in the east to Zhytomir in Central Ukraine, and now heads the civil society organisation Peace in the palm of your hand, which assists some 300 internally displaced people. “The IDPs’ main worries concern when the war will finally stop and how we can integrate them into the communities in which we live at present,” explained Gladka. To some extent, the internally displaced people have not been treated well. The implementation of Ukrainian government programmes to help them has in some places fallen short. The attitudes of local decision-makers also leave something to be desired, according to Marathon participants. Gladka says that the biggest problem is the lack of decent housing. Gladka and 300 other internally displaced persons in Zhytomir live in a block of flats, but it is not connected to the city’s central heating system. And winter is on the way. 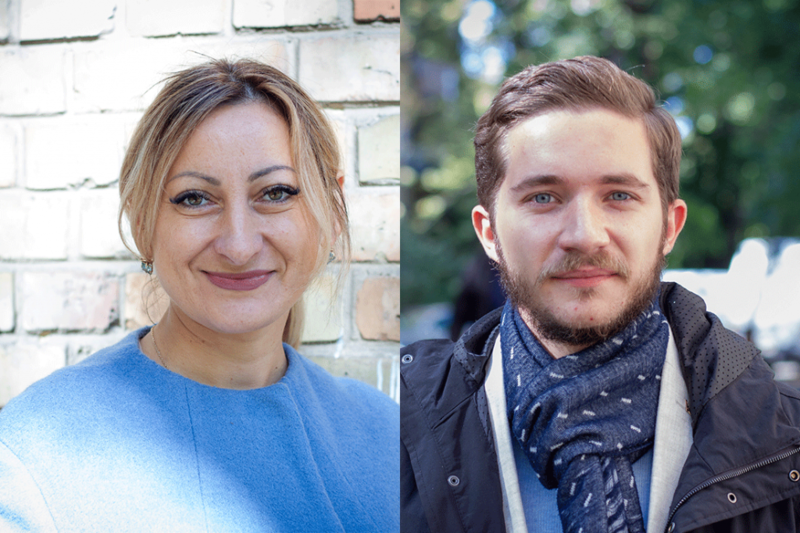 Gladka believes that the Public Marathon held in Zhytomir helped spread information about what assistance is provided for internally displaced people. At the discussion forums they also came face to face with soldiers and war veterans, who mistakenly took them for separatists. “We were open with these people. And similarly they learned to know us better and to understand what we really think”, Gladka recalled. 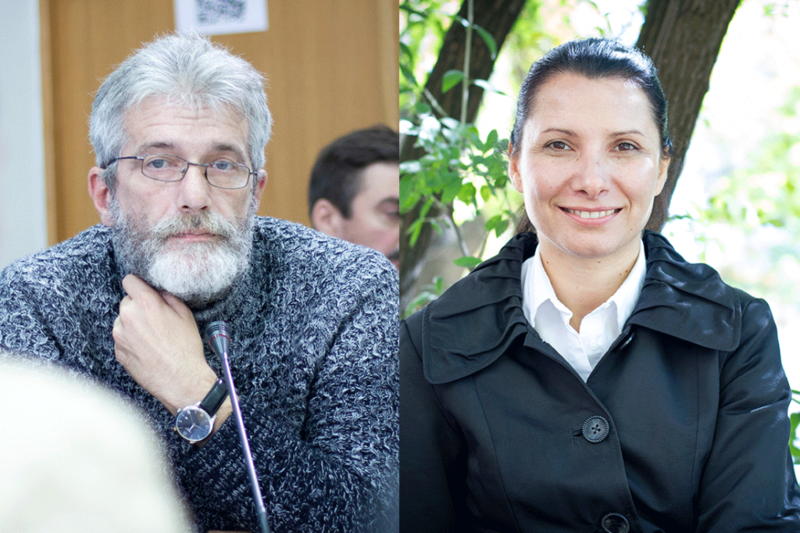 One of the discussion forums was organised in the city of Dnipro in May. For politics researcher Oleh Saakian the idea of the Public Marathon is to offer an alternative model for the reintegration of Ukraine. Saakian is one of the initiators of the marathon. He stresses that the reintegration debate is politicised in Ukraine. On the one hand, there is a model where peace can only be achieved by continuing war at any cost; while on the other, there is the model in which capitulation and/or ceding the captured areas to Russian control is a guarantee of peace. Saakian calls the alternative model offered by the marathon ‘secure reintegration’. It is secure not only for Ukraine as a state (guaranteeing unity of the state), but also for Ukrainians themselves. In practice, the latter means that the dignity of Donbas residents is respected in the same way as with other Ukrainians. The Public Marathon provides the possibility to meet internally displaced people as equal human beings. The organisers underscore that dialogue with the inhabitants of the part of the Donbas region not under Ukrainian government control is easily viewed as reaching out to the enemy. “For many Ukrainians there is no question of talk about co-existence, reconciliation, forgiveness and consensus,” said well-known Ukrainian journalist Andrei Kulykov, a moderator of the Public Marathon discussions. The Public Marathon held in the Western Ukraine city of Ivano-Frankivsk was almost over before it began. A group of hard-line war veterans marched in on the debate. They wanted to see the conflict regions separated from the rest of Ukraine if the war cannot be won. But Saakian and the other organisers managed to change the veterans’ minds. Sahakyan asked them how well they knew Ukraine’s patriotic ethical principles. Sahakyan himself answered: One of them is the principle of protecting children. “I asked them, do you intend to leave the children of Donbas at the mercy of the war, to fend for themselves?” says Saakian. The argument seemed to work and the war veterans sat down. Eventually, they turned the whole event into a highly constructive discussion. “In this way we have the means to get radical groups like this involved in a constructive dialogue at subsequent events,” says Saakian. He points out that genuine dialogue can also transform people’s hostile perceptions of each other. It’s essential for dialogue to provide an opportunity to look beyond slanted media information at the conflict and its causes. “This is not a religious or ethnic conflict. Nor is this a conflict with a historical background. When there’s no propaganda you can look at reality from another perspective,” explains Saakian. Well-known Ukrainian journalist Andrei Kulykov has moderated the Public Marathon discussions. Researcher Julia Kaplan participated in the Marathon in the city of Kramatorsk. The aim is to continue with the Public Marathon in the near future in new cities. According to the organisers, the forums have already altered attitudes, but it’s just the beginning. The Ukrainians’ common vision for the future of the country has still to be made tangible. There was a broad consensus at the forums that the hate speech has to end and the situation of internally displaced persons must be eased. Facebook and local media have an important role to play in raising awareness about discussion forums. “I believe that this marathon has good prospects. These discussion events are a place where Ukrainians can seek solutions to the conflict together,” says Julia Kaplan a researcher at the National Institute for Strategic Studies and one of the Public Marathon participants. “I hope that through this marathon we will find a common objective and everything will settle down,” remarks Irina Gladka. The organisers hope that the end result will be a roadmap on ways to reunite Ukraine. This roadmap would also be put to the country’s politicians. The war is never far from Tatiana Mosentseva’s thoughts. Her parents still live in Kharkiv. The city is now relatively peaceful, but the war and the tensions created by it highlight the importance of dialogue between different people.